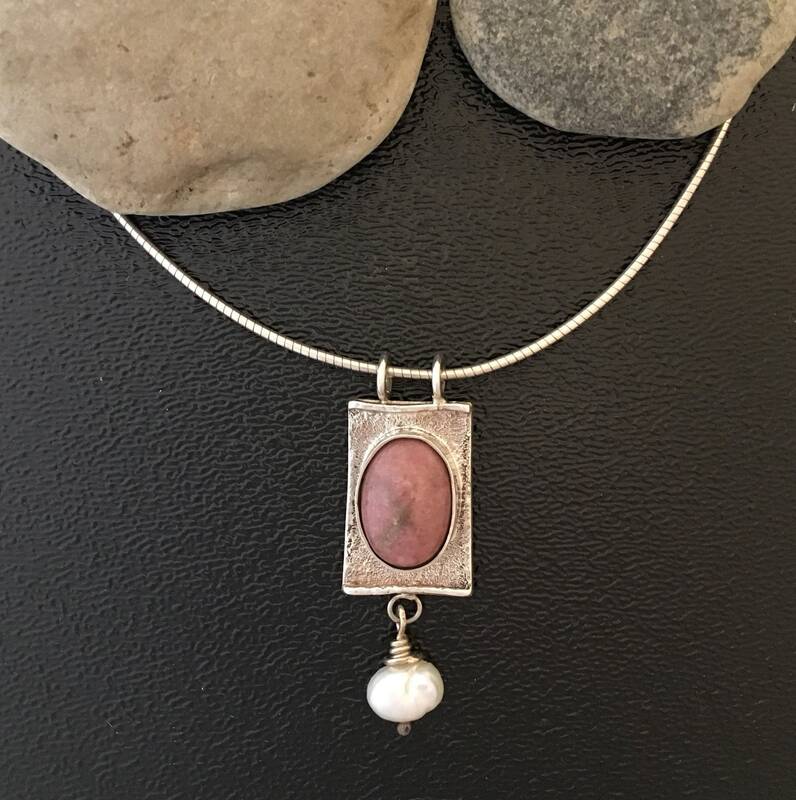 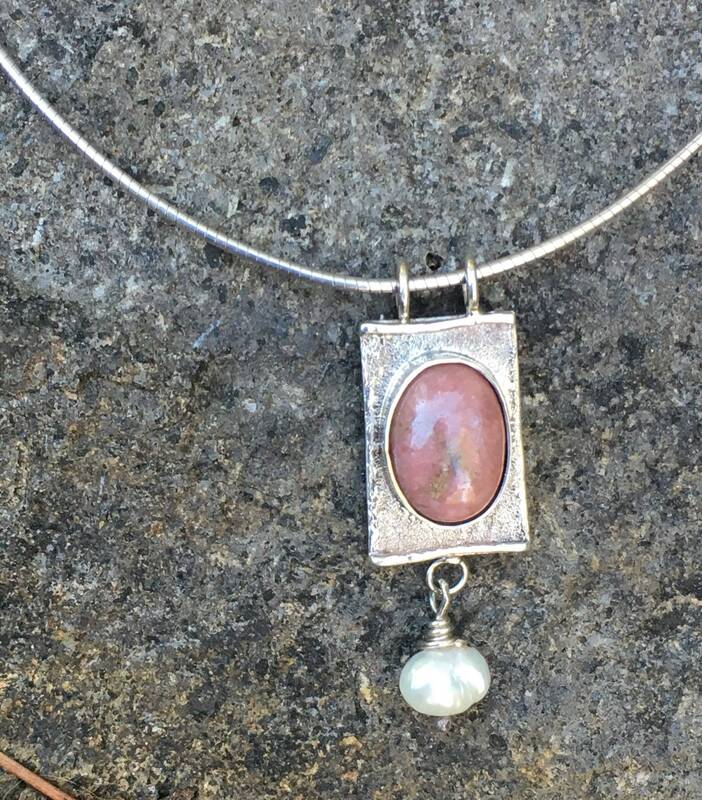 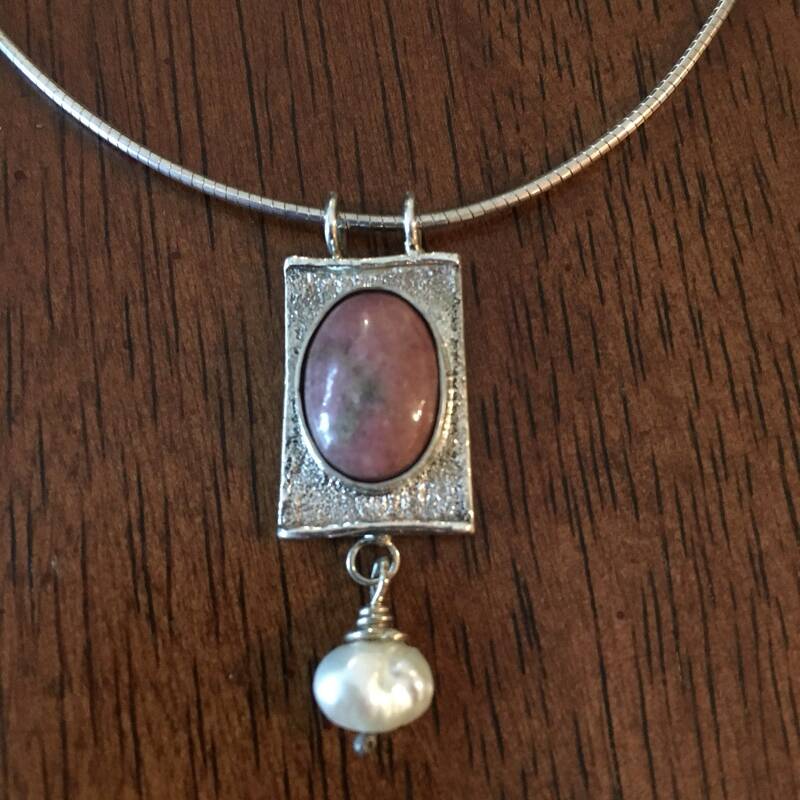 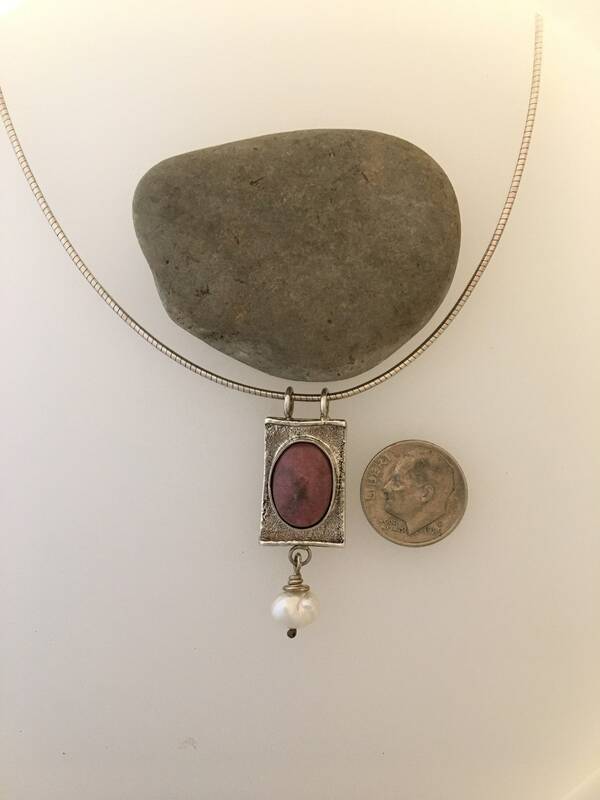 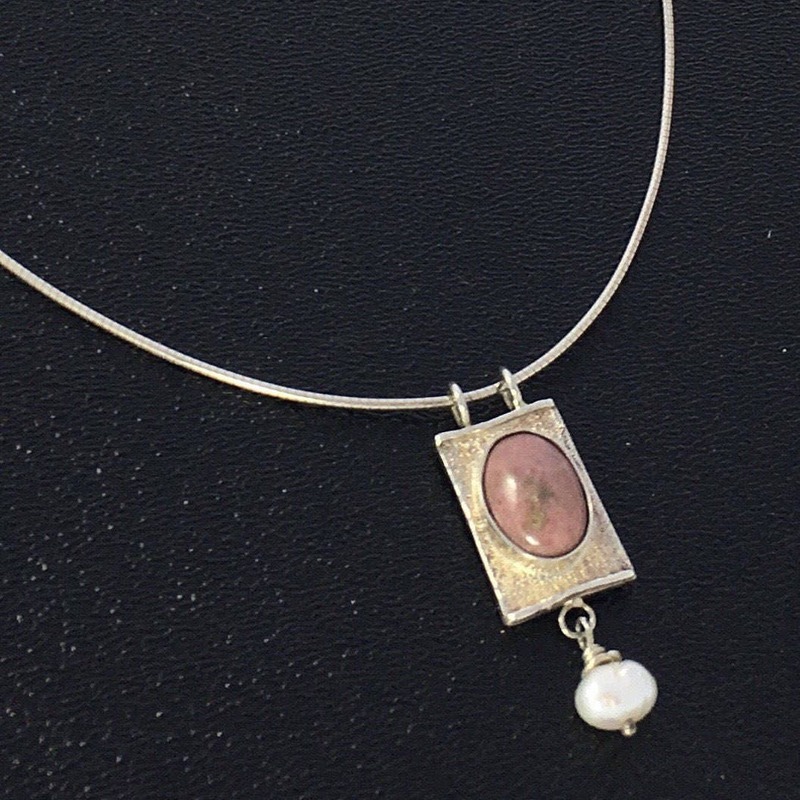 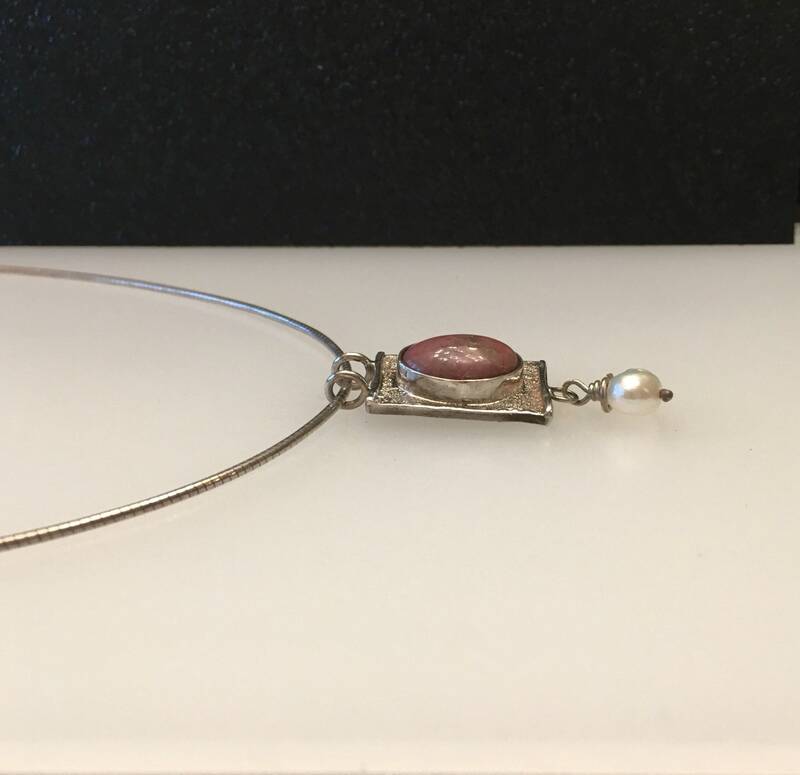 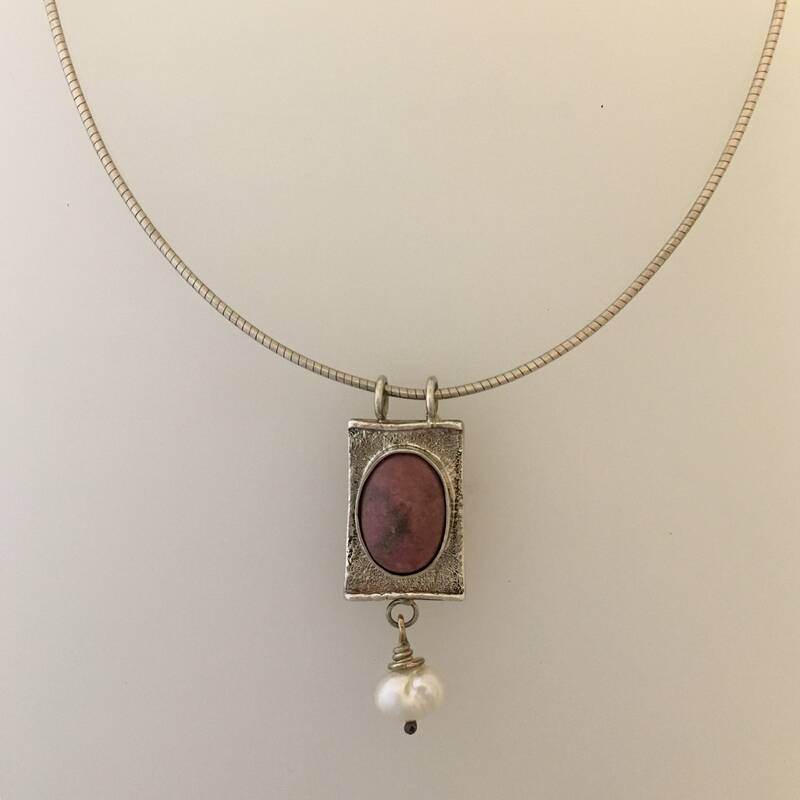 Rhodonite Gemstone Silver Necklace with Pearl is Handcrafted One of a Kind. 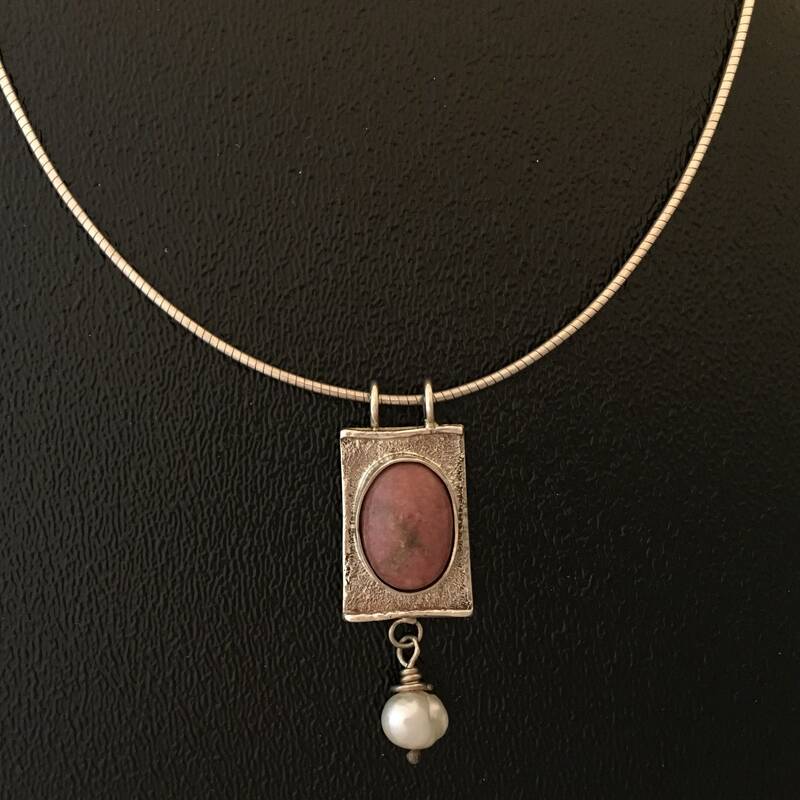 Featuring a pearl dropping from the bottom of the necklace it is made in Fine Silver and Sterling Silver. 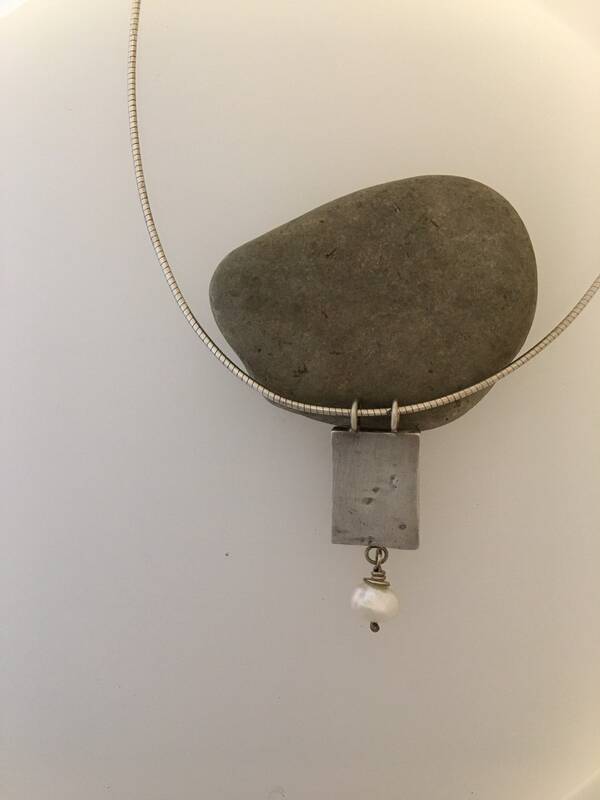 Comes on a 16" sterling chain. 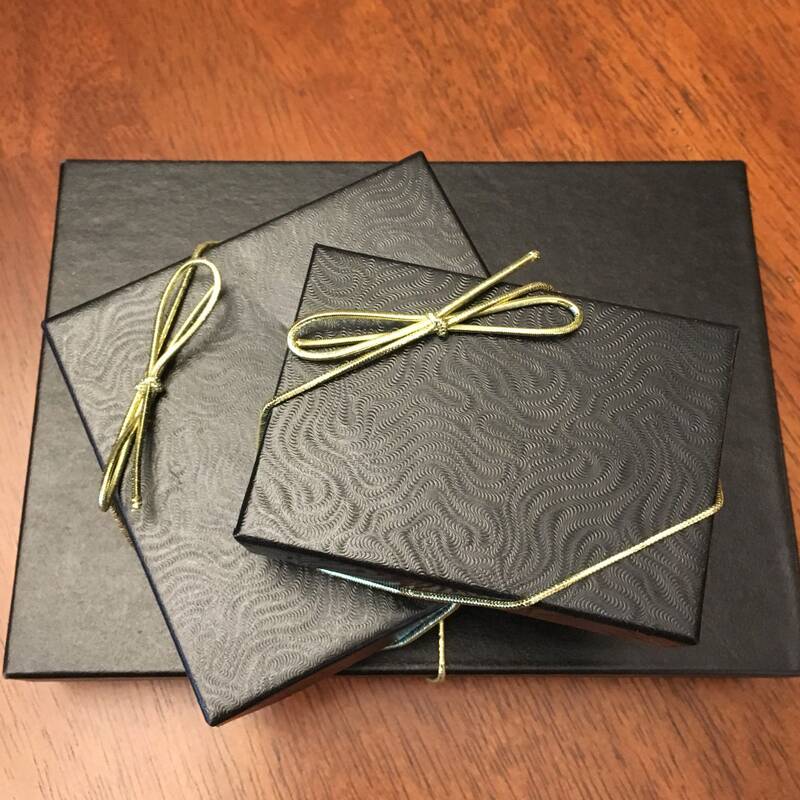 Item will ship in a gift box.